Sara Almeida - Pescada Cozida: Testimony @ Taizé's website. A few years back I volunteered in Taizé for a few months. It was a time I treasure deeply and think about often. I feel extremely grateful for the chance I had to live with 80 girls from all over the world. I made beautiful friendships and I was lucky enough to meet some of those friends around the world (NZ, Australia, Laos). One of the sweetest friends I made in Taizé was Eve. I find it hard to talk about Eve because she is someone I only got to be friends with for a few months before she suddenly passed away. I think I am scared people will judge the dept of our relationship and judge my mourning. I miss Eve so much. I think my time in Taizé will be marked by her friendship and how the last time I saw her was there. How we hugged and promised to see each other soon. I don't know why I'm talking about her, but I think it's unthinkable for me to talk about Taizé and not about Eve. I think if she was alive she would be in Greece working alongside me and the refugees. She learned portuguese (and she spoke it fluently !!!) just so she could go and volunteer at a school in Brazil. She used to skype me and tell me about all the big ideas she had for the place, at the same time she would talk about the next school she would go and work in, somewhere in Cambodia. Anyway, when I was in Lesbos back in March, one of the brothers of the community asked me to write something about my time with the refugees. It has just been published on their website and you can have a look here. 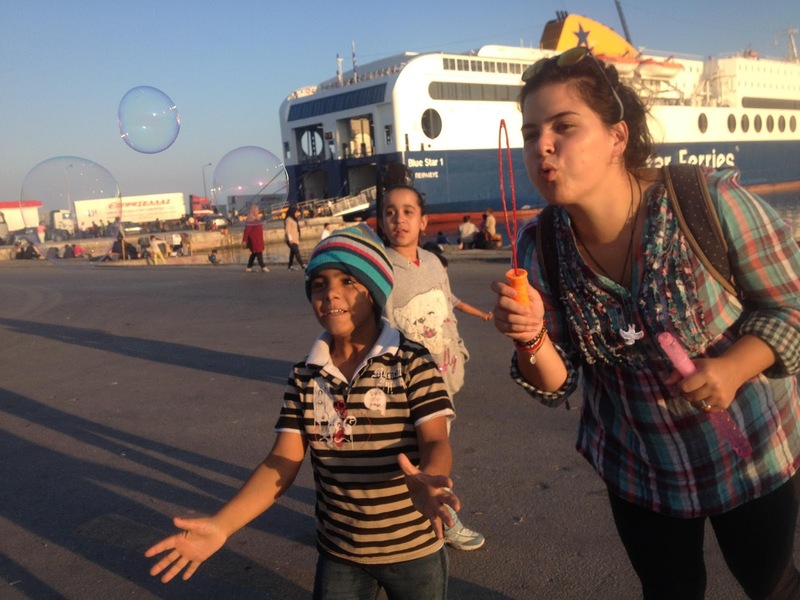 I get to hear a lot of stories from the people that make it to Lesbos, and it’s those stories that stay with me long after the people have left the island and continued their trip to mainland Europe, looking for a place where they are welcomed."